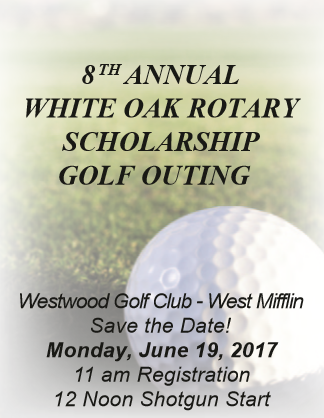 The 8th Annual White Oak Rotary Club Scholarship Golf Outing is on Monday, June 19th. Each year the White Oak Rotary awards scholarships to Help McKeesport & Serra Catholic High School Students Pursue Higher Education. You can help us make that happen in several ways.